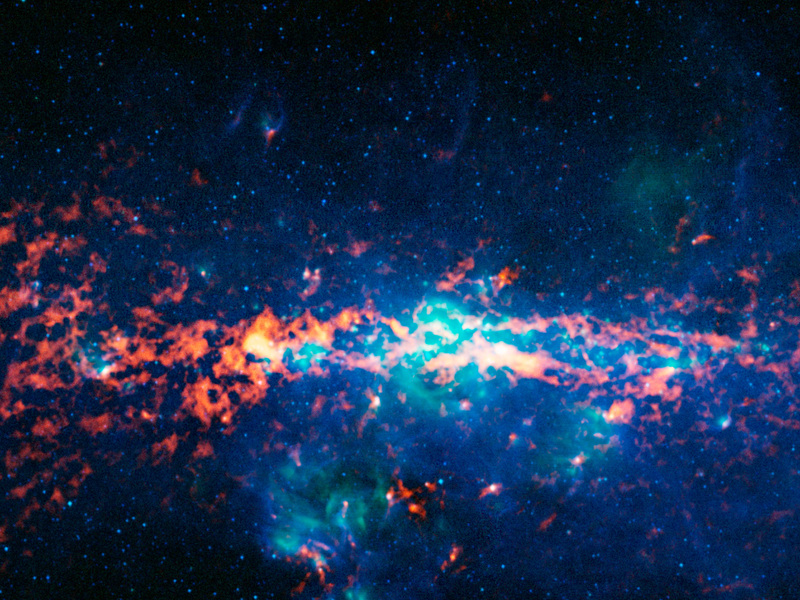 Colour-composite image of the Galactic Centre and Sagittarius B2 as seen by the ATLASGAL survey. 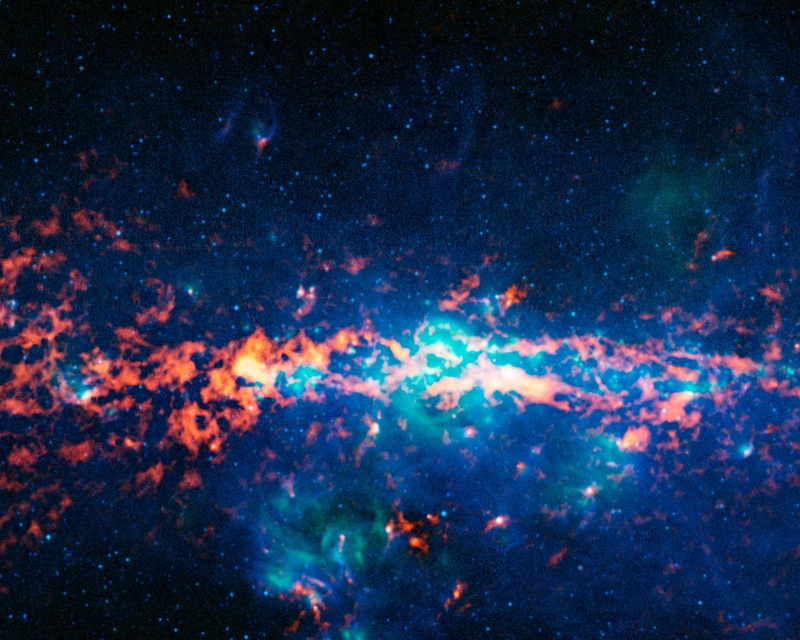 The centre of the Milky Way is home to a supermassive black hole more than four million times the mass of our Sun. It is about 25 000 light years from Earth. 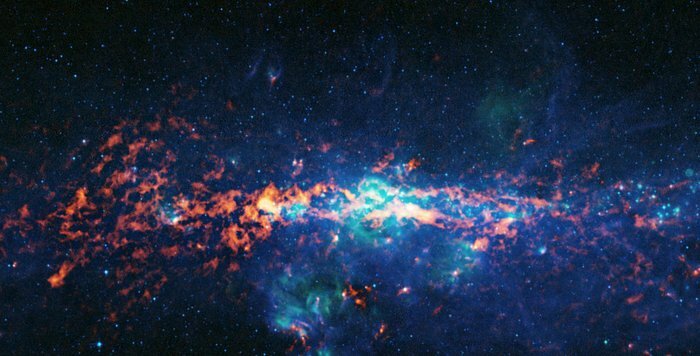 Sagittarius B2 (Sgr B2) is one of the largest clouds of molecular gas in the Milky Way. This dense region lies close to the Galactic Centre and is rich in many different interstellar molecules. In this image, the ATLASGAL submillimetre-wavelength data are shown in red, overlaid on a view of the region in infrared light, from the Midcourse Space Experiment (MSX) in green and blue. 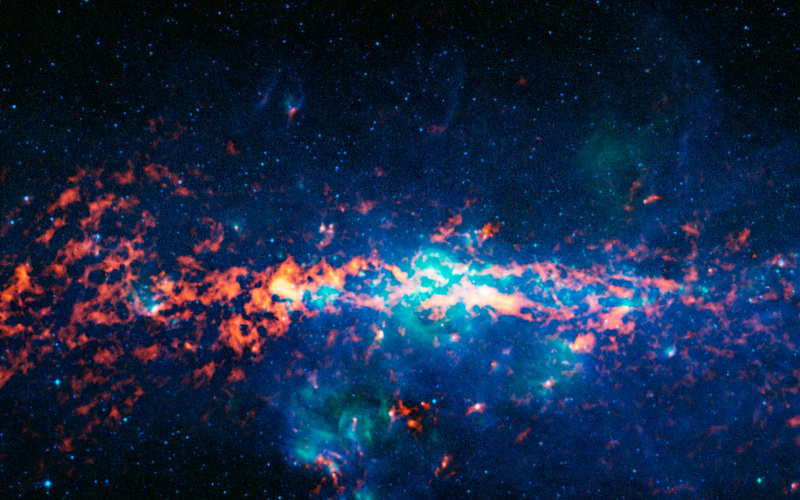 Sagittarius B2 is the bright orange-red region to the middle left of the image, which is centred on the Galactic Centre.